It was a good day. 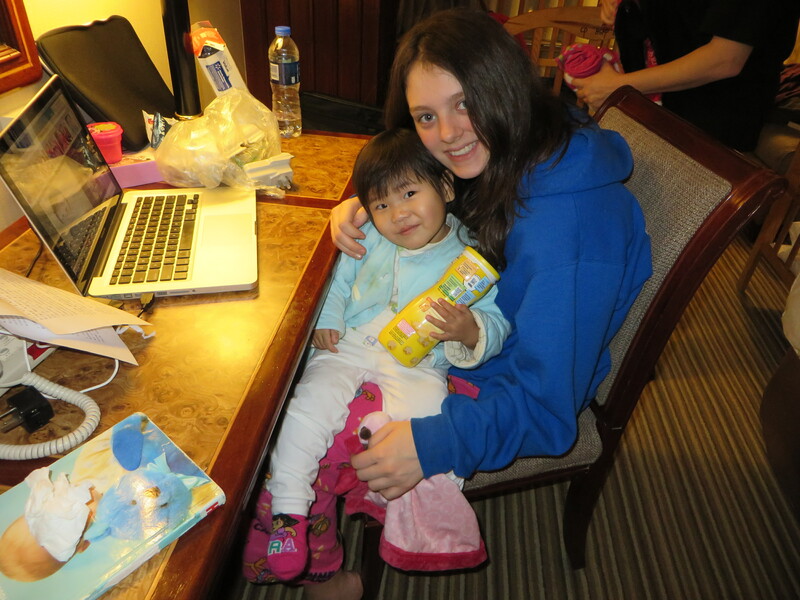 We were able to stay in the hotel and spend quite a bit of time with the girls today. 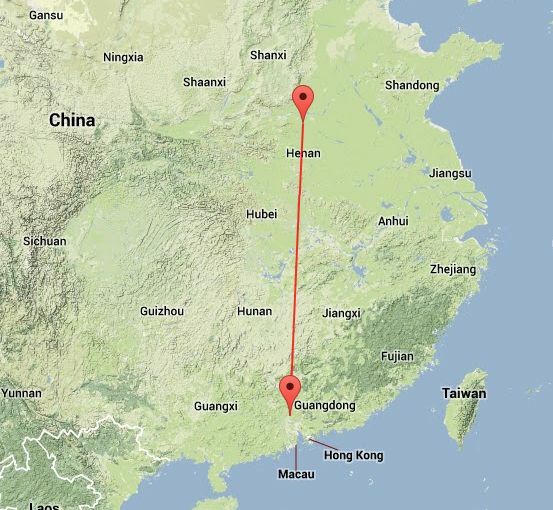 We received the paperwork back from the different cities that we have spent the last couple of days running to – we will take it with us to Guangzhou on Saturday. One of the items that we received is the newspaper post from Hope and Faith regarding their abandonment. 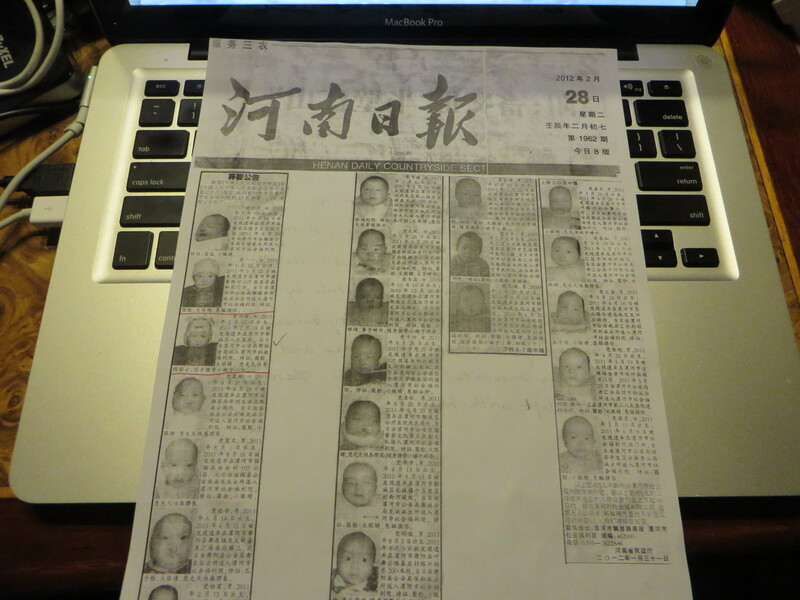 There are 24 littles ones on this page and the newspaper gives family members one last chance to claim their child before they become a ward of the state. It is heartbreaking to see. Many of the children have visible facial maladies that the parents are not willing or unable to fix. I have much to say about this but must wait until we get back to the U.S. before I can comment any further. We are so thankful to have these reports because they are really the only key we have to their past. 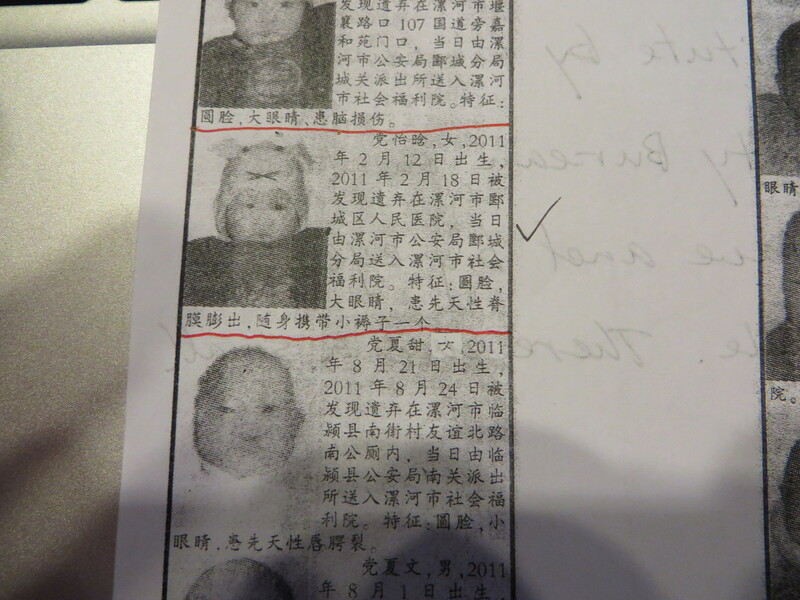 The girls were most likely born in a hospital but China does not fingerprint so there’s really no way to tell who the child belongs to once the baby is found. My understanding is that babies born with physical deformities are a sign of bad luck or a curse on your family. Other times, the families are just unable to financially support the physical need that the children have. Both girls will have physical and emotional issues that we will need to work through. Hope has a mild form of spina bifida. She is very weak in her core and is effected in some other areas. Faith has an umbilical hernia that was repaired (but terribly botched). We are convinced (as is our U.S. doctor) that her poor brain development was misdiagnosed. She is a very bright and coordinated little one! Both girls have scars, some visible and some covered – but how thankful we are for these precious little ones! We will have much to work through medically once we get back stateside so we would very much solicit and appreciate your prayers for the months ahead. For lunch today, I walked across the street to a place I have been a couple of times. I was feeling adventurous so I took Faith with me in the stroller. I got our ‘usual’ (no one speaks English in the restaurant, our guides have written in Chinese what we want and we hand it to the server) and the bag was packed up and I began the trek back across the crazy intersection. As I walking, I noticed many of the Chinese gawking (more than usual). They were looking at me, the baby and then the bag that I was carrying. Several of them would laugh at my very full bag of Chinese food. This seemed like odd behavior so once I got back to the hotel, I asked the front desk what the picture on the bag was. 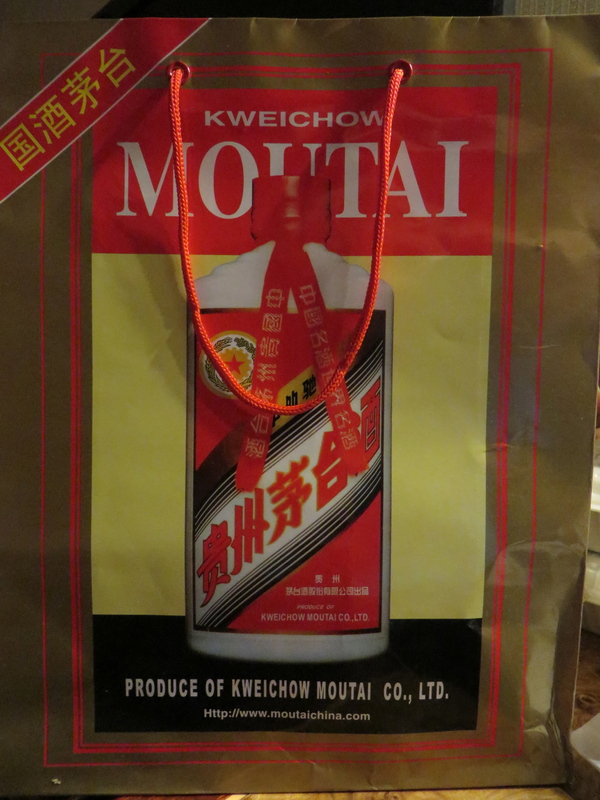 He said that it was a picture of one of China’s most popular wines! So I’m pushing a baby stroller and carrying what looks to be a big bag of alcohol. We had quite an adventure trying to find the place to eat tonight. Zhengzhou is a little bigger than New York City and it is incredible to see the number of cars and mopeds and people. The crosswalks can be tricky because cars don’t stop for you in China, neither do the mopeds. Lane lines are more of a suggestion than a rule and the car horn is used constantly…but I digress. I got directions from our guides to a nearby restaurant that had good sweet and sour pork and kung pao chicken. Many of the families with our group really raved about how good the food was so we thought we’d try it. We walked with a family that we have enjoyed and gotten to know. I followed the directions but somehow missed a street so we were taken on this wild goose chase in the middle of Zhengzhou. I stopped to ask a couple of times if we were going in the right direction and the folks on the street confirmed that we were. 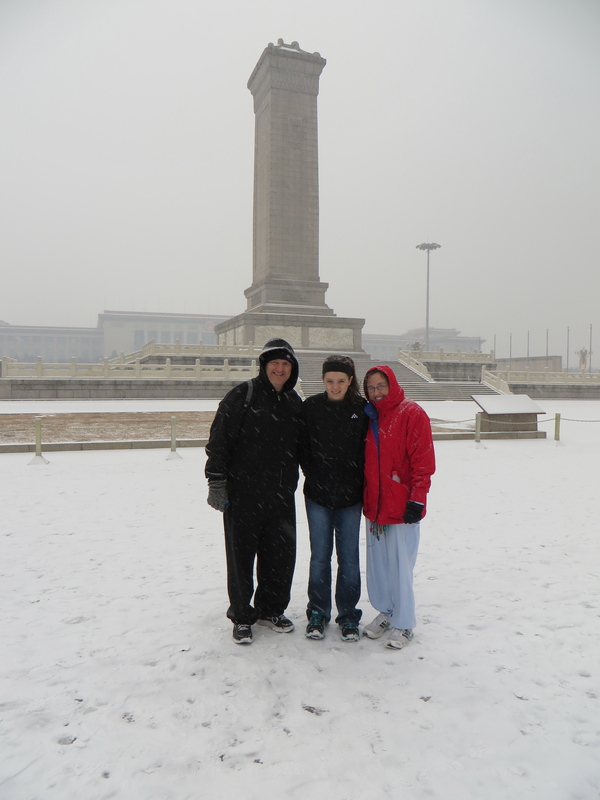 After walking 20 minutes, we stopped to ask another lady and she took us on a ten block walk back toward our hotel. We were a couple blocks over from the main thoroughfare. 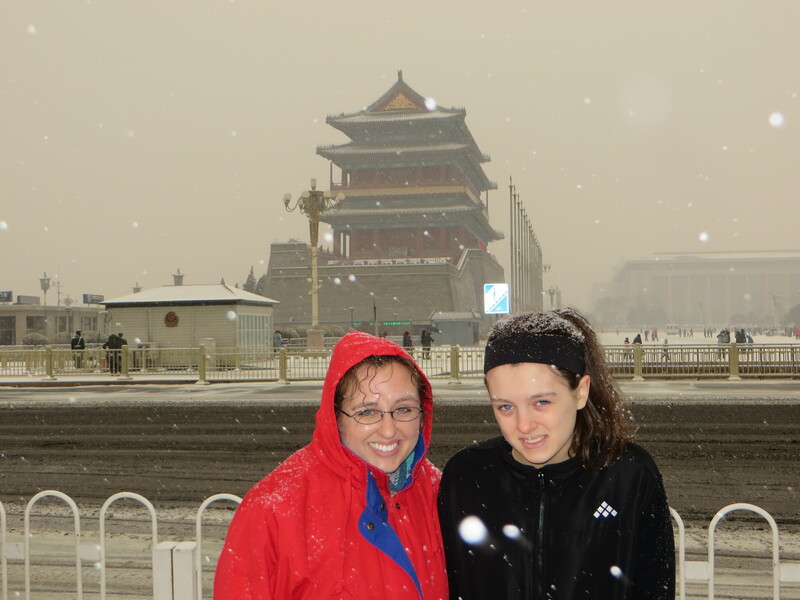 It wasn’t scary but it was smelly and we were seeing parts of China that we hadn’t planned to see! Come to find out, we had missed a stop light, the restaurant was directly across the street from where we’re staying about a 1/2 block away. We offered her money but she adamantly refused. Nonetheless, the kids were troopers and the food was good. We had a difficult time explaining the concept of putting the two families on separate checks. They couldn’t understand that we were ordering for our family and they were ordering for their family. When the bill came, the waitress gave us two bills but after looking at it a moment we realized that she had given us the bill for our group and the other group of CCAI families made up of 20 or more folks that were in another room. We quickly let her know that we would only be paying for the food that we had ordered and ate! After dinner, we stopped in a little bakery and April and Grace purchased little strawberry cookies. 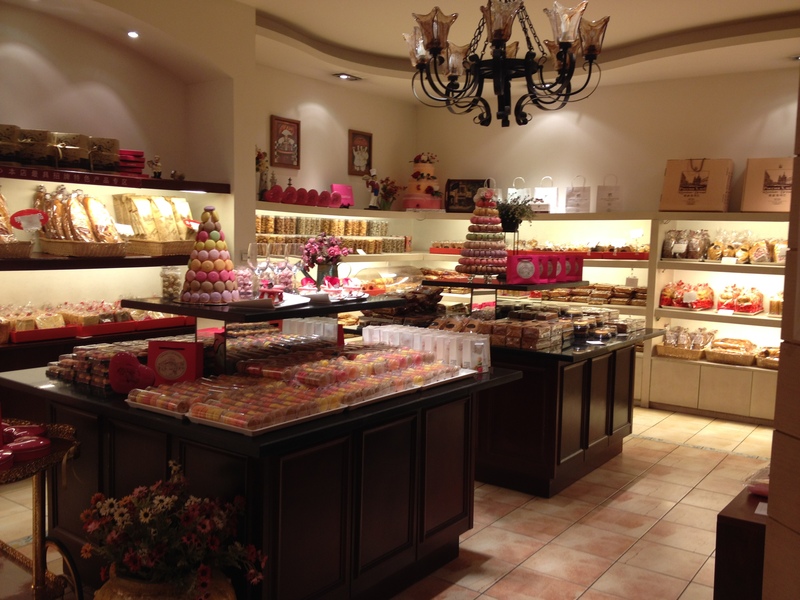 The bakery was very nice and had little figurines and tea sets (if you’re into that sort of thing). Very much a fufu kind of place. They also had ‘Big City’ pricing! Thankfully, Faith and Hope didn’t know what they were missing. All in all, it was a good day. The morning was rough – April is missing home and struggling a bit with not seeing the boys. 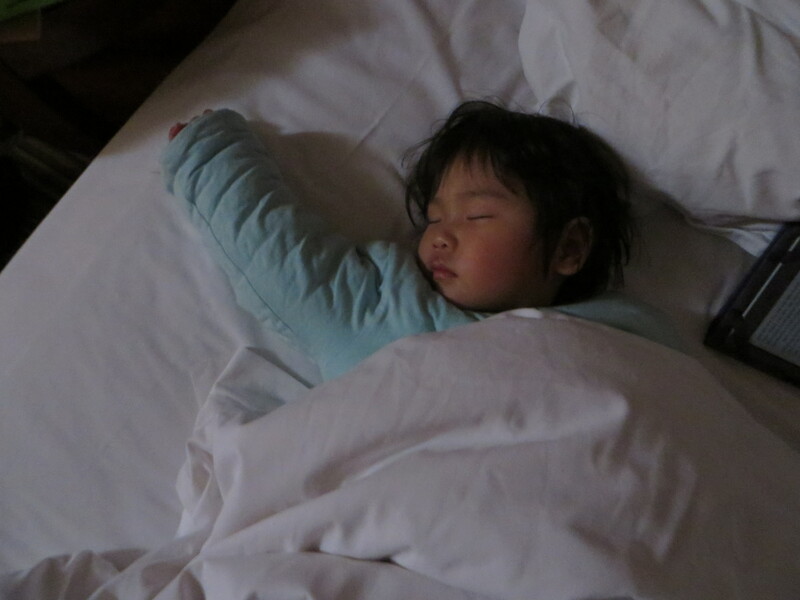 We’re all tired and weary from the busyness of keeping two little toddlers in a confined hotel room. But it’s a good weary. And a good tired. The girls really are very sweet and it has been a delight to see them progress in many things – especially in their understanding of English. Hope, the oldest, but much smaller one of the two is picking up very quickly. She likes to give kisses to Graceann. Faith is busy, busy, busy little one. Whew! 🙂 She goes and goes. The ‘twins’ are both sleeping now and we look forward to another day tomorrow. Please continue to pray. Again, we have known the Lord’s grace and comfort but recognize our great need of wisdom in the days, weeks, months and years ahead. You need not pray for the years ahead – prayers for tomorrow would be sufficient. Much love to all. Good night. After a good night’s sleep, we got up early this morning (6 a.m.) to start our day. The girls ate breakfast well and we were packed up and ready to leave for Luohe by 8. 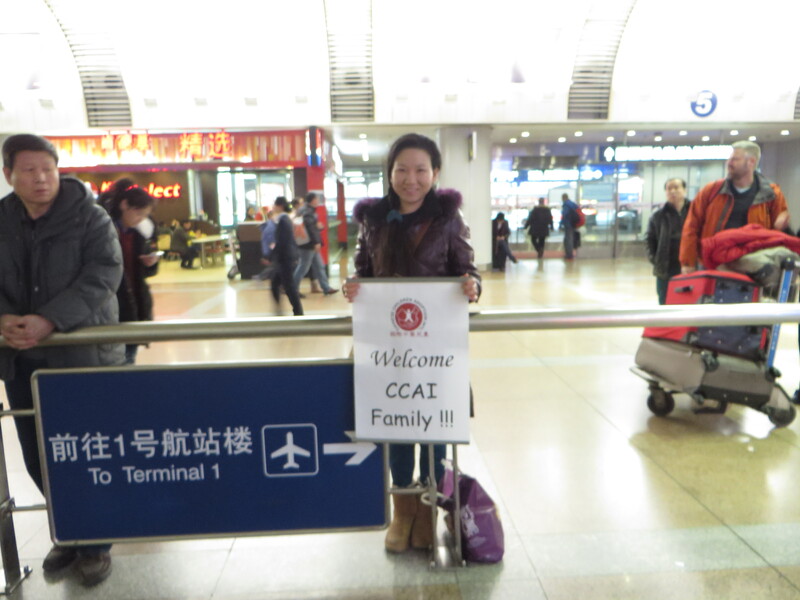 We had mentioned to our CCAI Rep Yisha about our tramautic day yesterday traveling with Faith. She agreed that it might be better if Grace stayed back with Faith in the hotel room and she would also be close by in the hotel if Grace had any problems or if they needed anything. I was so thrilled to not have to endure (at least) a 5 hour drive with a screaming Faith! 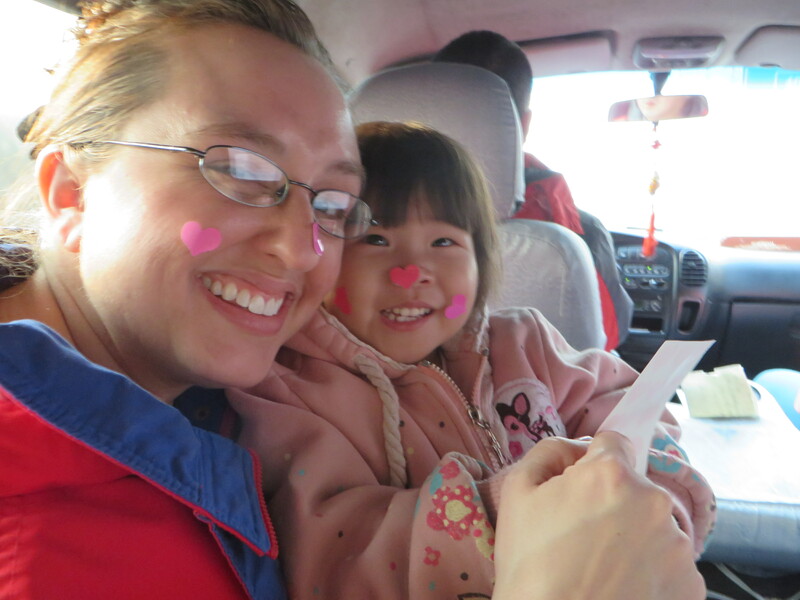 We were able to stay in contact with Grace through our guide’s cell phone and we called periodically to check in on her. Both did GREAT!! We have spent the rest of the day in the hotel just relaxing and bonding with our girls. Well, except for poor Rick, who holds a part-time job here in China as an errand boy. He spends quite a bit of time going out to find tasty, inexpensive food for us to eat, as well as, replenishing our stock from Walmart. How very much I love and am grateful for that man!! The girls are delightful little people and we are enjoying them very much! Thank you again for your prayers. They were felt and heard and God has answered abundantly. On the road to Luohe. 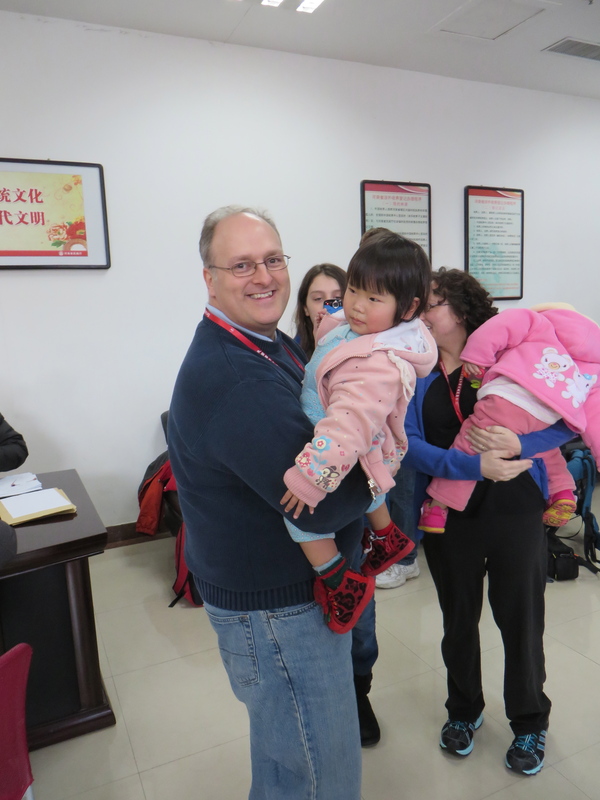 With Hope’s orphanage director applying for her passport in Luohe. My girls. So thankful that they all have each other. 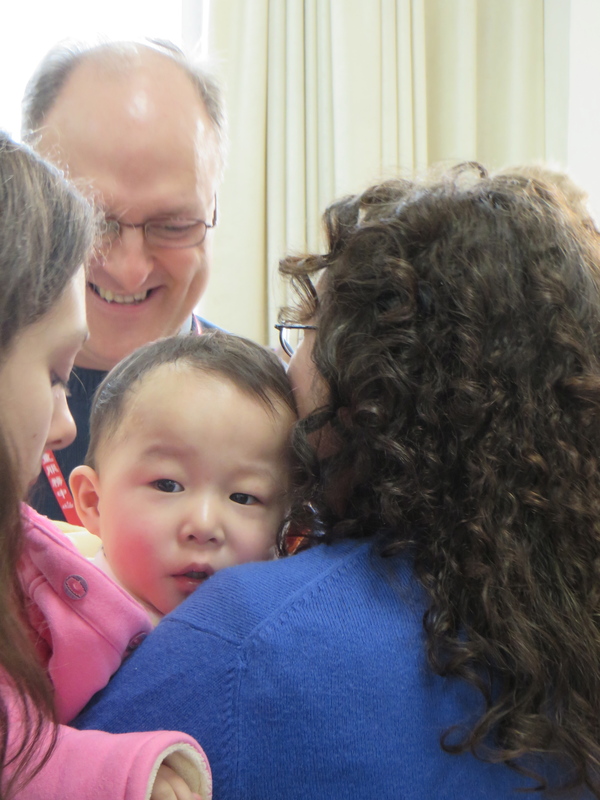 The adoption was finalized today according to China law. It has been a long and exhausting day. 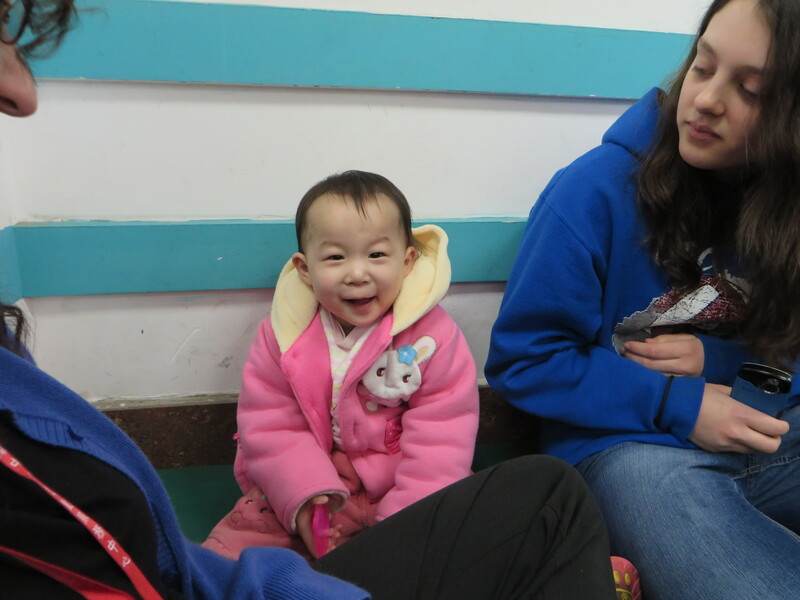 We have a longer day tomorrow as we have to travel to Hope’s birth city to apply for her passport. The trip is 2.5 hours one way, with stops at the registration office and possibly her finding spot. 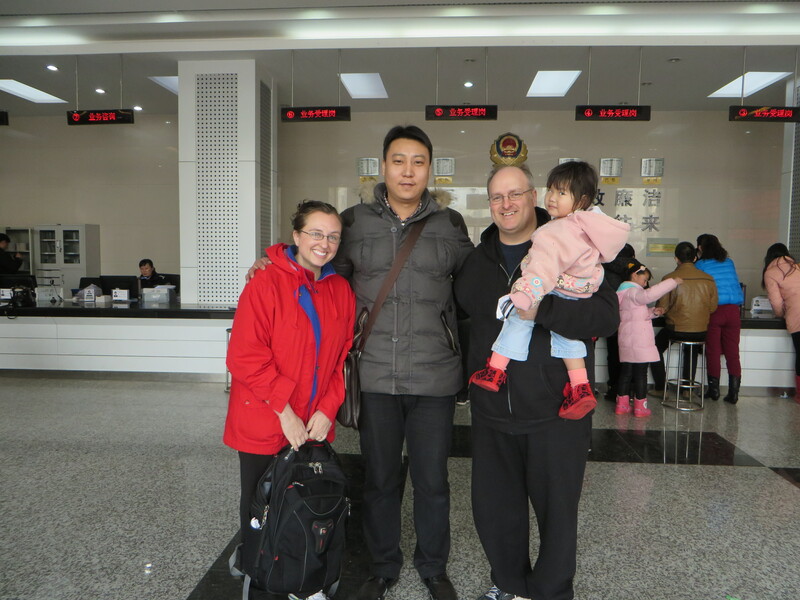 We applied for Faith’s passport in her home city of Kaifeng. Well folks, it’s official. We have a griever. Our baby girl, Faith, is finally realizing that we’re not going to disappear and she is missing her nanny very much. She whimpered all through the night, which unbeknownst to us then, was an ominous sign of things to come. She has been a mess all day today. She’s not the smiley, giggly girl that we have read about for months and have now come to know and love. She is such a sad, but so very brave girl, and it hurts my heart to see her grieving. Our day started bright and early. Faith woke up before 6 a.m. with a soulful wail. Rick walked the floor with her for a while, trying to comfort her, but it took a while to get her to calm down. I took her and held her in bed with me. As I searched my foggy brain for something to sing to her, I started humming, “Jesus loves you, this I know. For the Bible tells me so. Little ones to Him belong, they are weak but He is strong. Yes Faith, Jesus does love you, Yes, Jesus loves you. 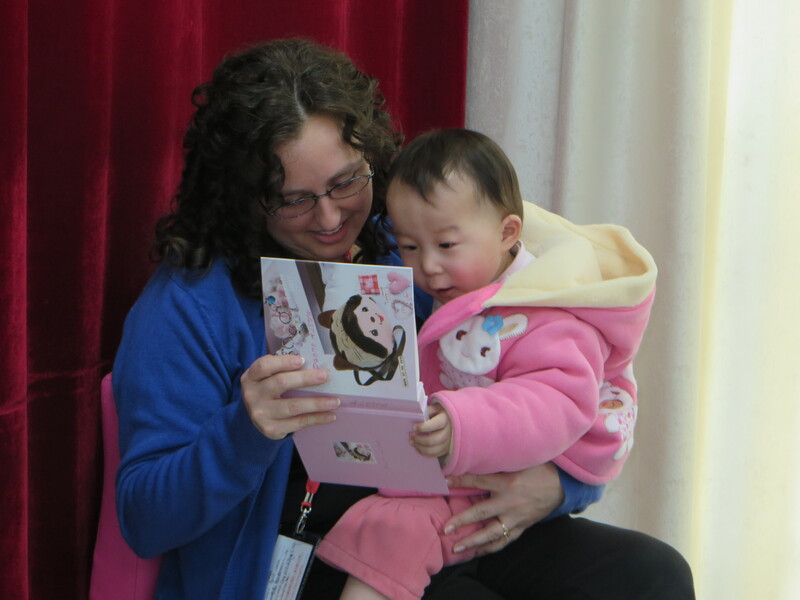 Yes, Jesus loves you, the Bible tells me so.” Tears were flowing at the sweet reminder from the Lord that He does love her and that He is with us, the weary and weak, even here in China. Faith rebounded, as is her norm, and we headed downstairs to the lobby for some breakfast. I was so happy to be out of the room, proud to be having our first out-to-eat experience with our new girls. My reverie was quickly shattered however, because neither girl would sit in the provided high chairs. And trying to put them in them triggered the girls spiraling downward once again. Hope began to eat everything in sight (which we are learning creates an interesting dilemma for us adults who are also hungry and desirous to eat), and Faith wouldn’t eat a bite! I ate a couple of eggs and some bacon, Rick ate DUCK, and then it was back to the room we went! 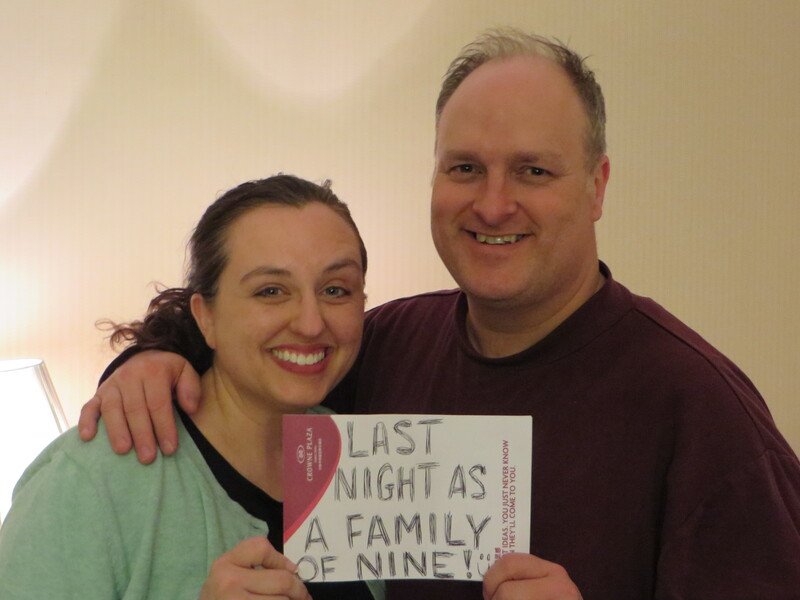 We had to leave for the Registration Office by 9 a.m. That was the place where we had received Faith and Hope on Monday, but now we had to go back to sign paperwork that would make the girls officially ours. Entering the building signaled fear for Hope and she began whimpering right away. Faith was eager to try out the indoor playground again, and I was thankful for her to be distracted. But that didn’t last long, and I was soon walking the perimeter of the very small room trying to keep her from losing it. We participated in a small-but-sweet receiving ceremony and then it was off to the Notary’s Office to fill out more paperwork. Our group is so large, 11 families adopting 13 children, that we had to all file in and be seated at a large meeting room table. There wasn’t room at the table for Grace and I, so we sat in back of the table with the girls. They were pretty happy there, munching away on the superfluous snacks that we take with us wherever we go. After we were done signing the papers, we went back to the hotel for a quick lunch. The lunch time was so quick, that we didn’t really have much time to eat! We all scarfed down peanuts and Rick went somewhere quick and got a couple of containers of noodles. They were pretty good, but I am getting sick of noodles! Not to sound like the Israelites of old with their manna, but I’m ready for some good old KFC or McDonalds! A taste of home would be so wonderful right now. 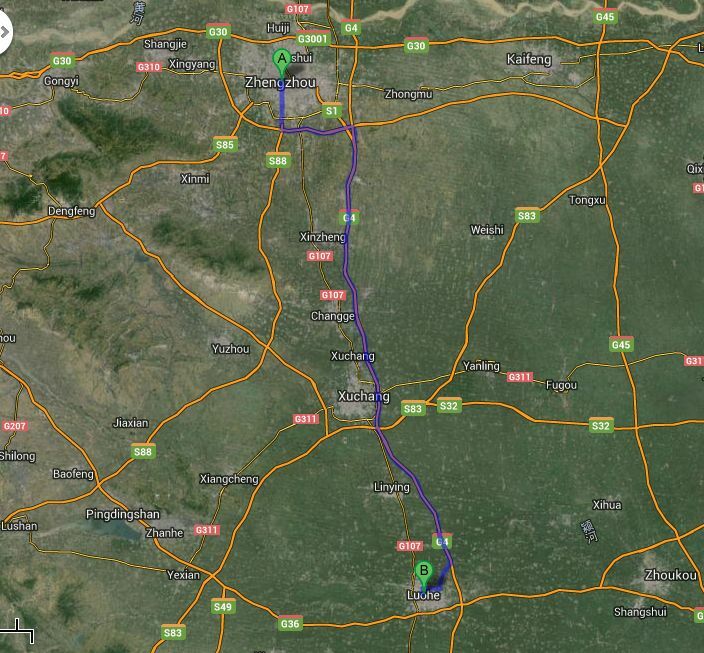 At 1 o’clock we left for Kaifeng. This is Faith’s birth city and we had to go there to apply for her passport. 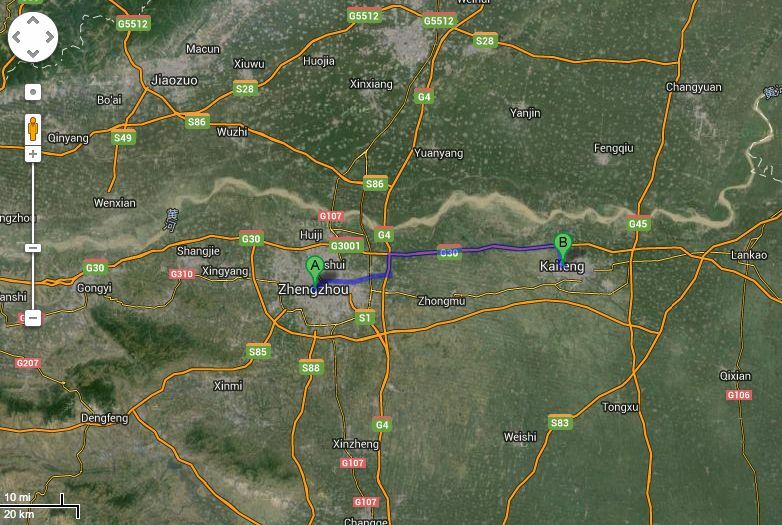 Kaifeng is an hour and a half one way and Faith started crying as soon as we got in the car. She cried a lot of the way there. 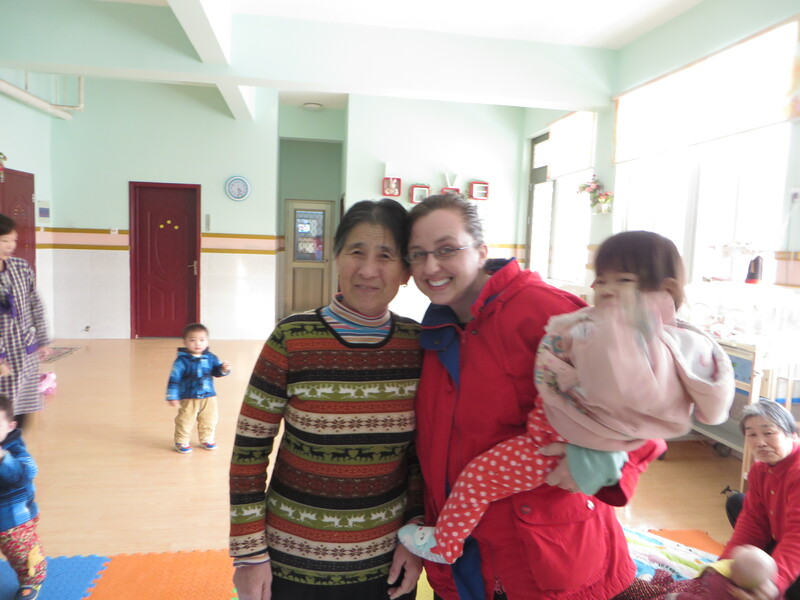 We had planned to visit her orphanage, and I hesitated on whether or not to go. 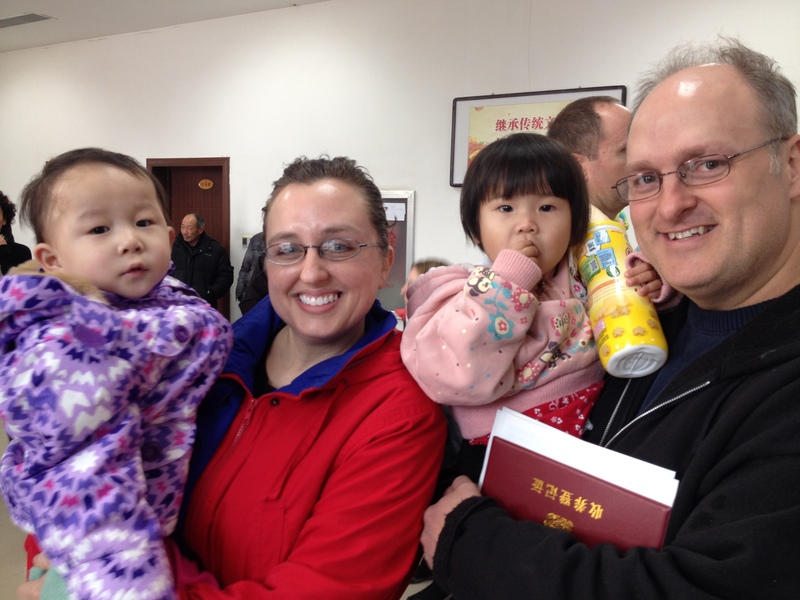 But Rick suggested that we had better go…who knows when/if we’ll be in China ever again? We went, but by the time we got there, Faith had passed out in Rick’s lap and neither one of us had to heart to try to take her in and get her all worked up again. Rick waited in the car with her while Grace and I went in to meet and take pictures with the lady that Faith is missing so much. She was a very sweet lady and I’m happy to have had the honor to meet her and thank her for taking such good care of Faith for the last two years. We did visit Faith’s finding spot and took pictures. The emotions would have been much greater I think if we had all not been so stressed out about her crying. We then began the journey back to the hotel. We got stuck in rush hour traffic, so that put us really late getting back to the hotel. We’re all so wiped out…literally every muscle in my body is aching. 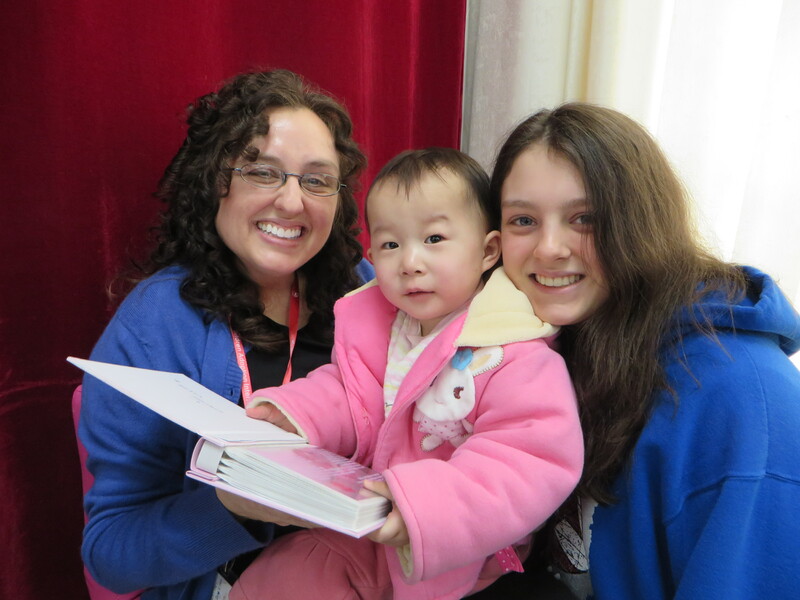 Tomorrow we leave at 8:00 a.m. to go to Luohe, Hope’s birthplace, and do the same thing all over again. I can’t begin to describe how I’m dreading the day. Please pray for strength from God to overcome what seems to be such a daunting task. Though I’m bone-weary, I know that He is able to do immeasurably more than I’m asking. Much love to all. Faith’s finding spot. She was left here 10/5/2011. 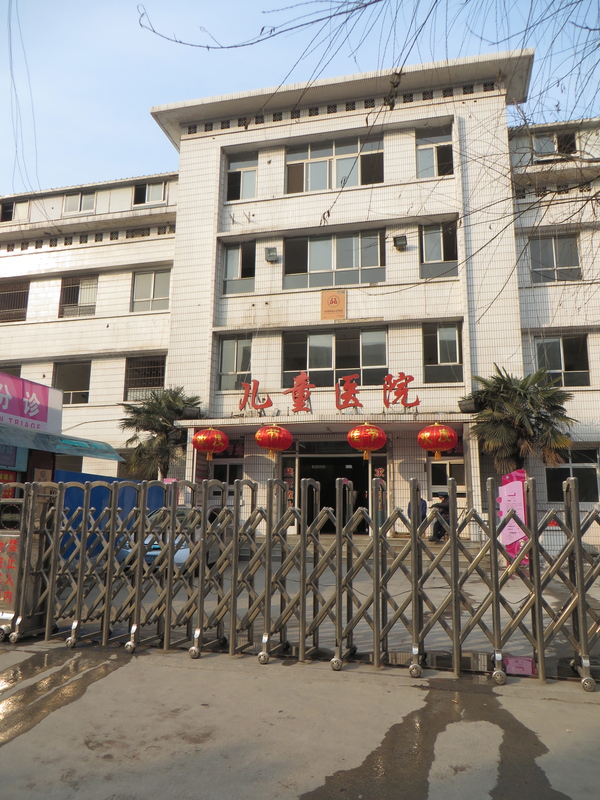 This is the children’s hospital in Kaifeng. 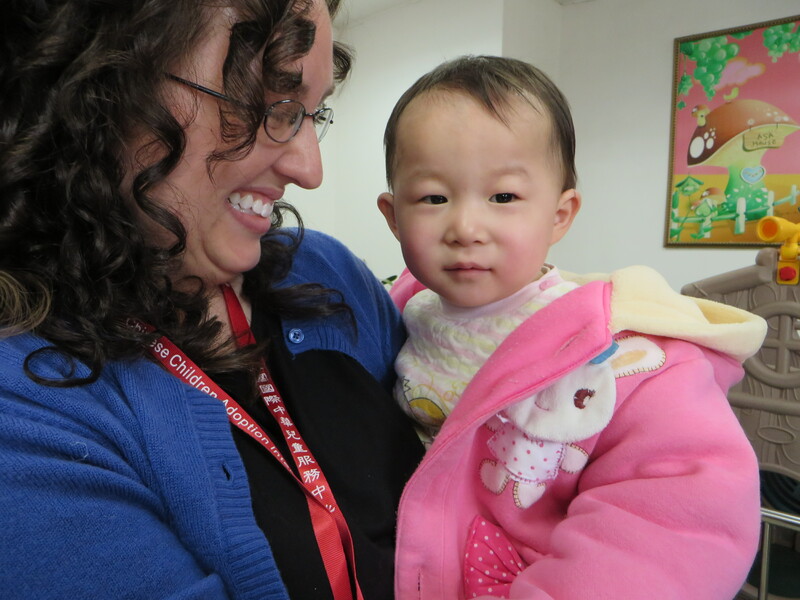 This is the sweet lady that cared for Faith for as long as she was in the orphanage. What a day. Not much commentary, just pictures. The Lord has been, as He always is, superabundant in His mercy and grace toward us. The girls have been wonderful. Faith is a ham, Hope is quiet and petite – very much used to getting her way. I anticipate posting more later but April and I want to thank all of you who have prayed and supported us financially in this. The day could not have gone any better. We received Faith first when very few families had gotten their children. Hope was the last of the 13 children to arrive so we don’t have as many pictures on our camera of her but we should be able to add more later as we get copies from others (now updated). 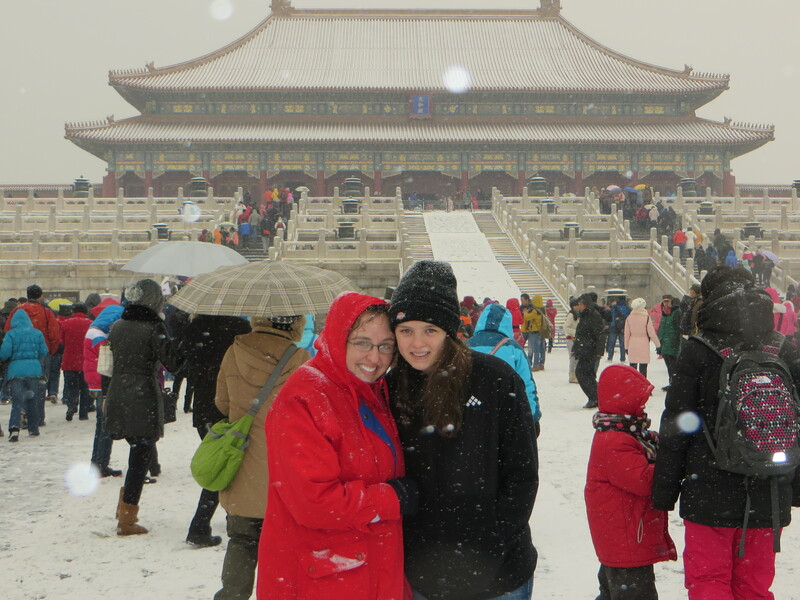 It snowed for the first time this winter in Beijing today. I guess we brought the weather with us! 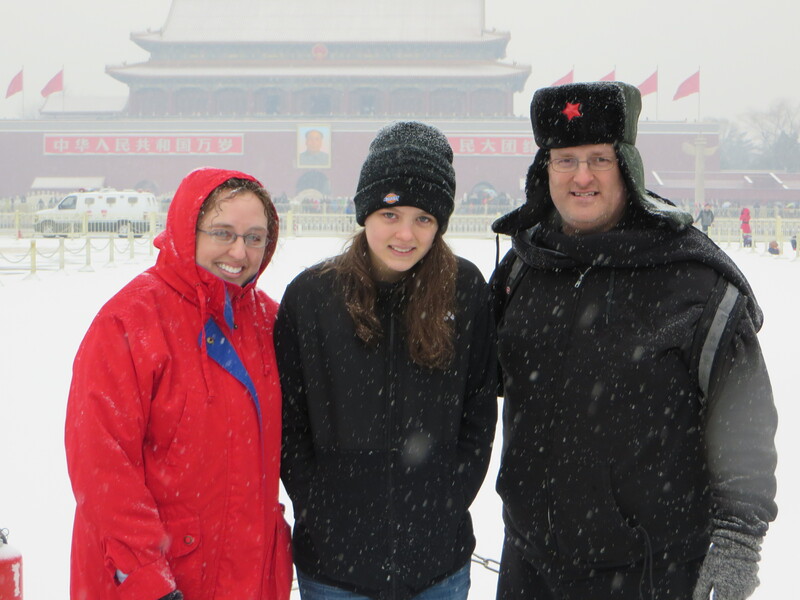 We spent a couple of hours touring Tiananmen Square and the Forbidden City. It was quite cold as you can see from the pictures. 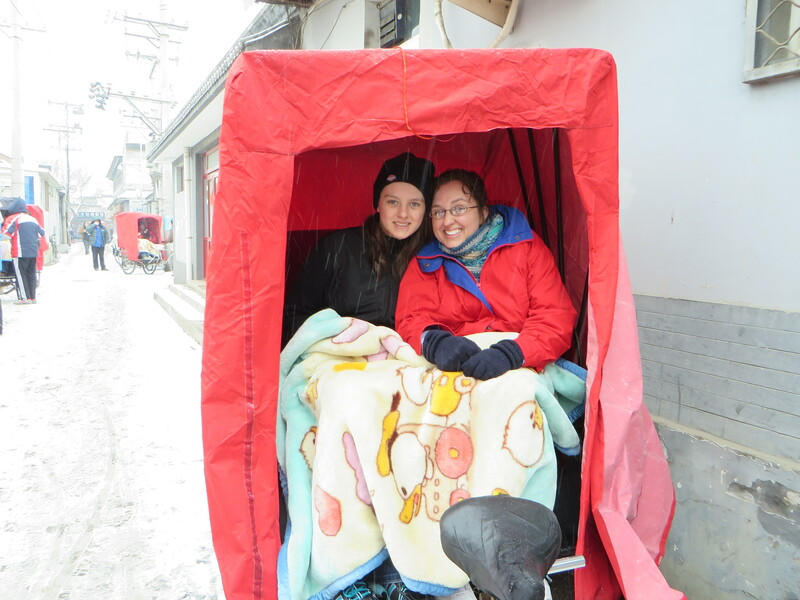 We also went on a Hutong (the part of town we were in) Tour – we were driven (?) 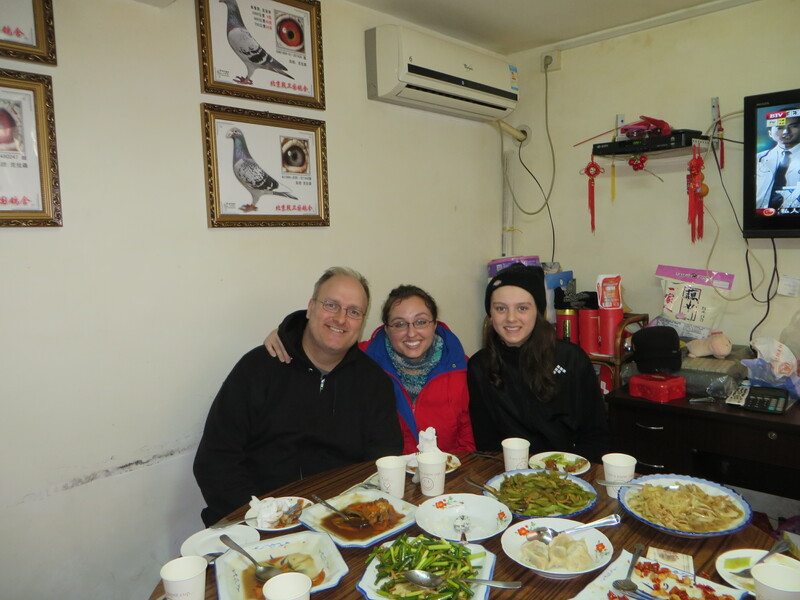 on bicycle rickshaws to a local family’s home and were able to eat authentic, home cooked Chinese food for lunch. It was quite good. I’ve been fascinated by the culture and in particular the spiritual aspects and names of the many buildings that we’ve seen. It is sad to see so many given to idolatry. Here are some of the names of the buildings we saw in the Forbidden City – Gate of Divine Might, Gate of Supreme Harmony and Palace of Heavenly Purity. O that God would raise up more missionaries for this people, are they any more Hudson Taylors and Lottie Moons among us? Men and women willing to give their lives in service to Christ. Attached are a few pictures of the day. Graceann stole my hat so I purchased this one for $5. The cold conditions and this hat reminded me of the movie Red Dawn. WOLVERINES! Depart Louisville to Detroit on Delta flight 5730 (8:01-9:29). 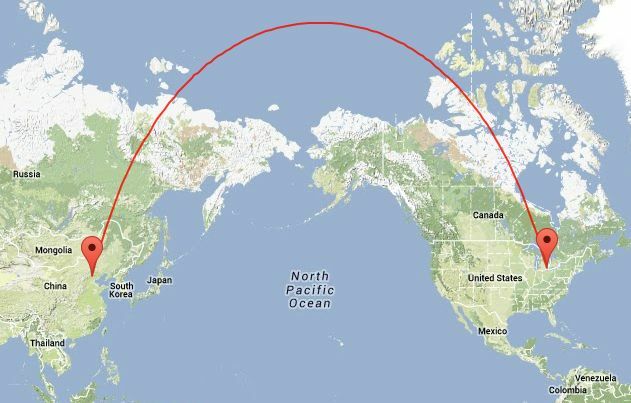 Depart Detroit to Beijing on Delta flight 189, (12:25-15:10 Thursday) 13 hour 45 min flight time. Arrive in Beijing 3:10 p.m. Staying at Sunworld (Tianlun) Dynasty Hotel. 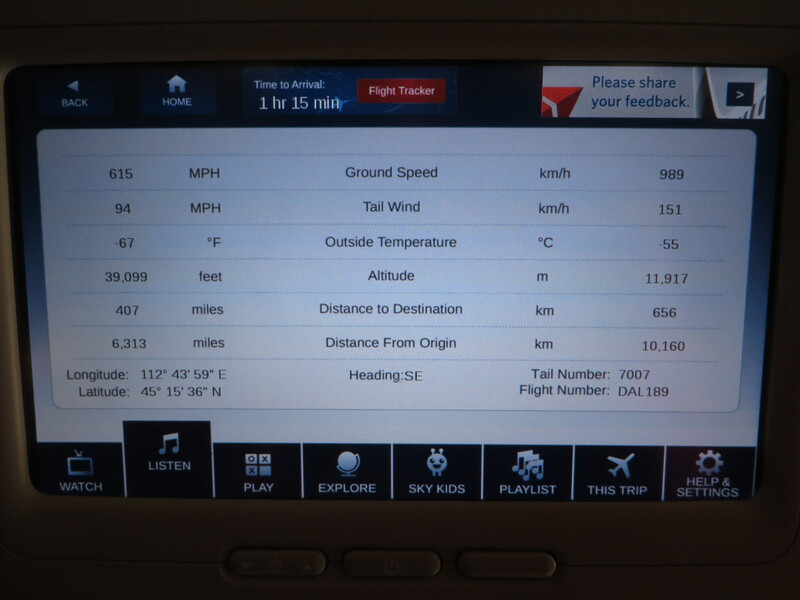 Our adjustment to Beijing time (13 hours ahead). Lord to uphold April physically. Depart Beijing for Zhengzhou on China Airlines flight 1325 (12:55-14:30). Staying at the Crowne Plaza Hotel. Please pray for our travel. Also, we will be unable to worship on this Lord’s Day with the body of Christ, so please pray that the Lord would minister to us through prayer and His word. GOTCHA DAY!!!!!! 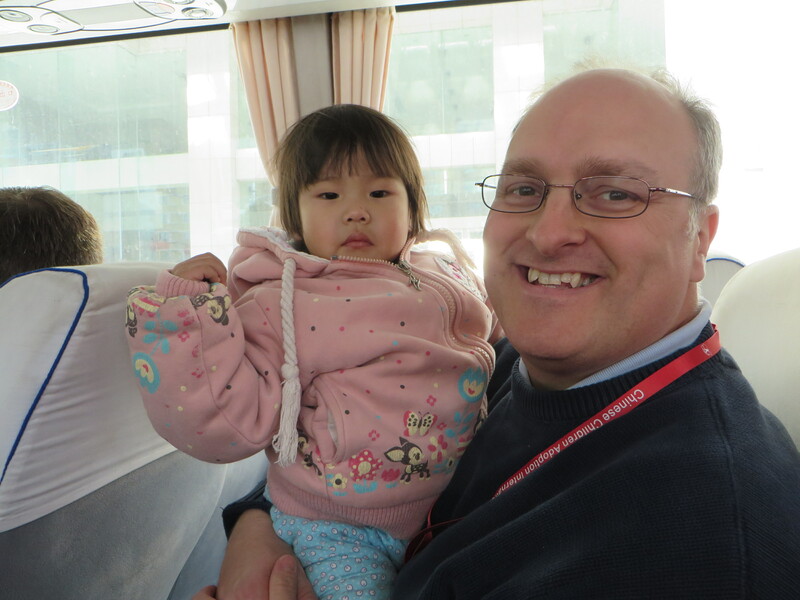 The orphanage officer from Kaifeng, Mr. Wang Fang will deliver Faith to us. 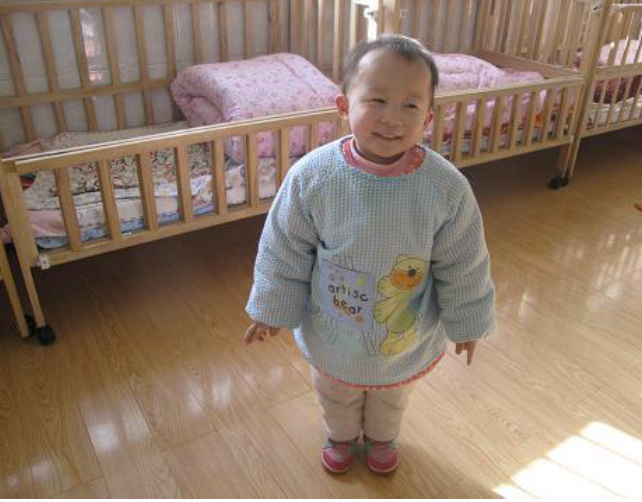 The orphanage officer from Luohe, Mr. Guan Peng Fei will deliver Hope to us. We sign the Guardianship Agreement. 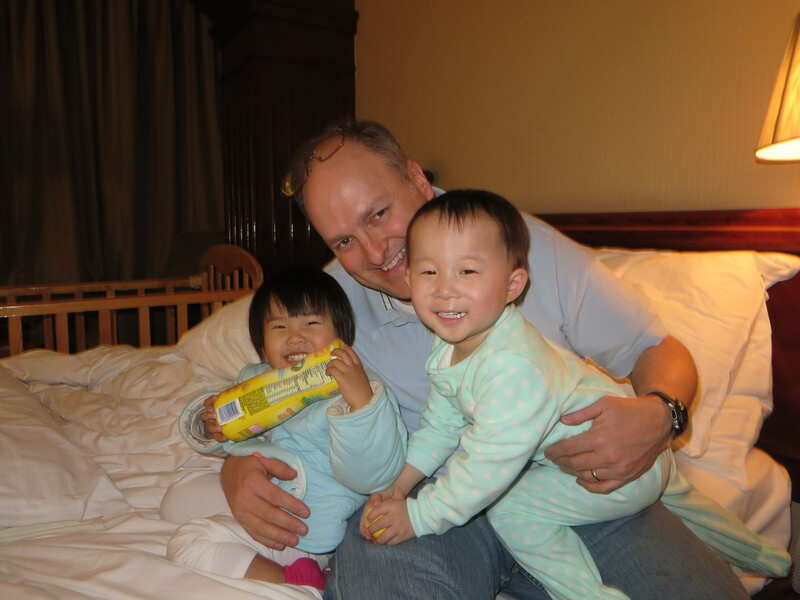 Please pray for our new daughters – Hope and Faith. They will be grieving another loss in their lives. Pray that the Lord would grant quick attachment and bonding. Take a bus to the registration office to complete Adoption Registration in the morning. 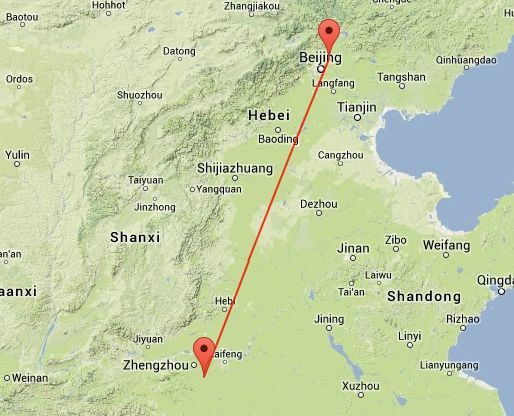 At 1 p.m., travel to Kaifeng to apply for Faith’s passport in person at the public security bureau (Kaifeng is approximately 90 minutes from Zhengzhou). 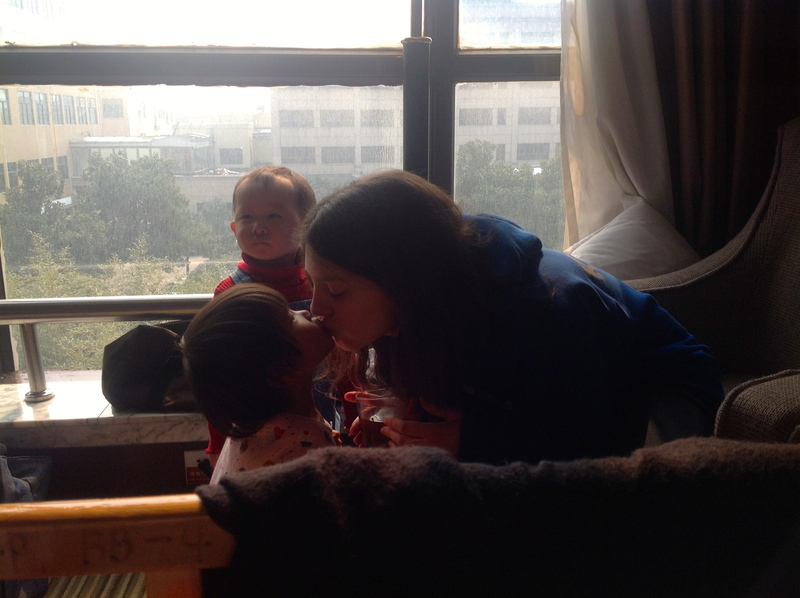 This will be a very long and exhausting day as we will have both girls with us and need to travel via train or bus, will return to Zhengzhou. Pray that the process would go smoothly in Faith’s home city. Pray that we will be able to get a picture of the spot where Faith was abandoned (we are told this may be helpful in the healing process as Faith begins to ask questions). Travel by van to Luohe (approx. 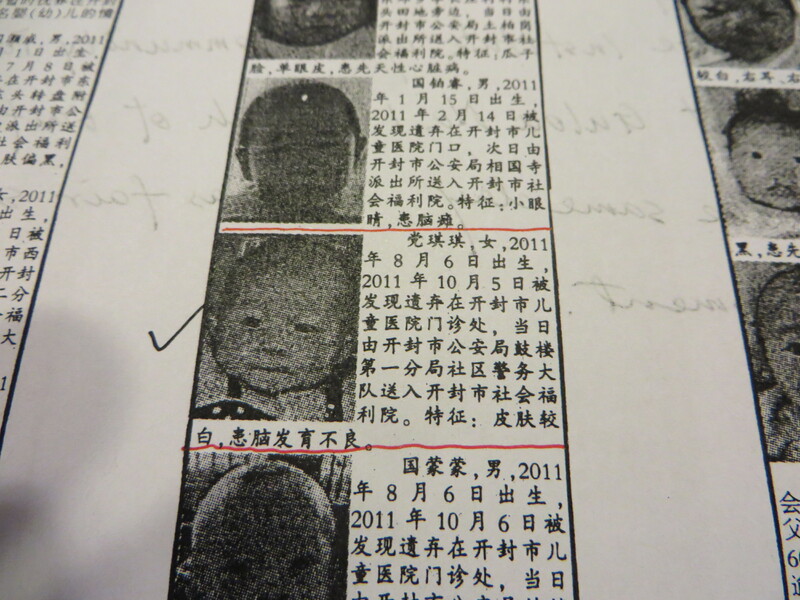 2 hours from Zhengzhou) to apply for Hope’s passport at the public security bureau. Another long day. Pray that the process would go smoothly in Hope’s home city. Pray that we will be able to get a picture of the hospital where Hope was abandoned (we are told this may be helpful in the healing process as Hope begins to ask questions). Pray for Micah in particular – today is his birthday! Receive our notary documents. Free day in Zhengzhou. 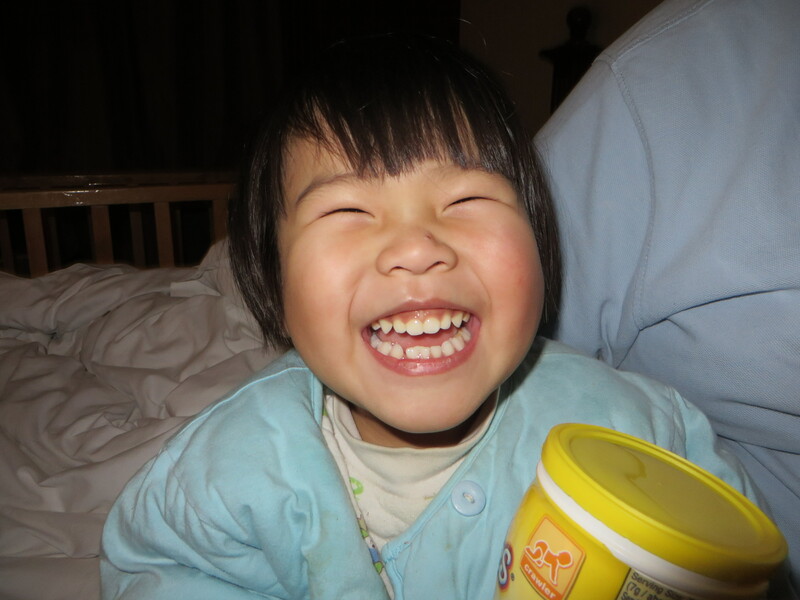 Pray for Hope’s adjustment to us and us to her. Pray for her ‘special’ need, she has spina bifida. Pray that we, by God’s grace, will be able to meet her physical needs. Free day in Zhengzhou. May receive passports today. Pray for Faith’s adjustment to us and us to her. Pray for her ‘special’ need, she has been diagnosed with poor brain development. Leave Zhengzhou for Guangzhou on China Southern flight 3393 (12:55-15:10). In case of emergency, call Jason (13902201276) or Grace (13380081489). If calling from the U.S., add 011 86 then the number. 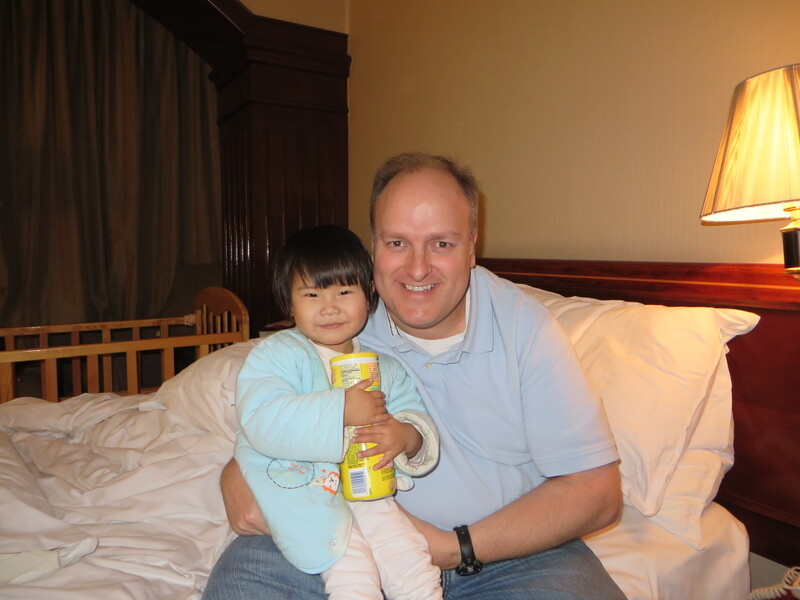 Staying at the China Hotel in Guangzhou. Pray for our travel as this will be Hope and Faith’s first time on an airplane. Meet with CCAI reps to prepare paperwork for the Consulate appointment. Another Lord’s Day in China. Pray for the Lord to minister to us in and through His word. Take bus to clinic to complete child’s visa physical and visa photo taken this morning. Pray for Hope and Faith – that we will be able to point them to the One that can meet their biggest need, a reconciled relationship with the Father through Christ’s sacrificial death on the cross. TB blood draw, chest X-ray for the girls at medical clinic. Pray for the girls today. They are going to have a rough day at the clinic. Pray for Elijah as today is his 11th birthday! Pray that everything will go smoothly at the U.S. Consulate. We take the oath today that says we will strive to be ‘good’ parents to our children. May the Lord give help! We receive Faith and Hope’s visa packet. Prepare to leave for home. Pray for our final preparations to leave. Pray for our travel. 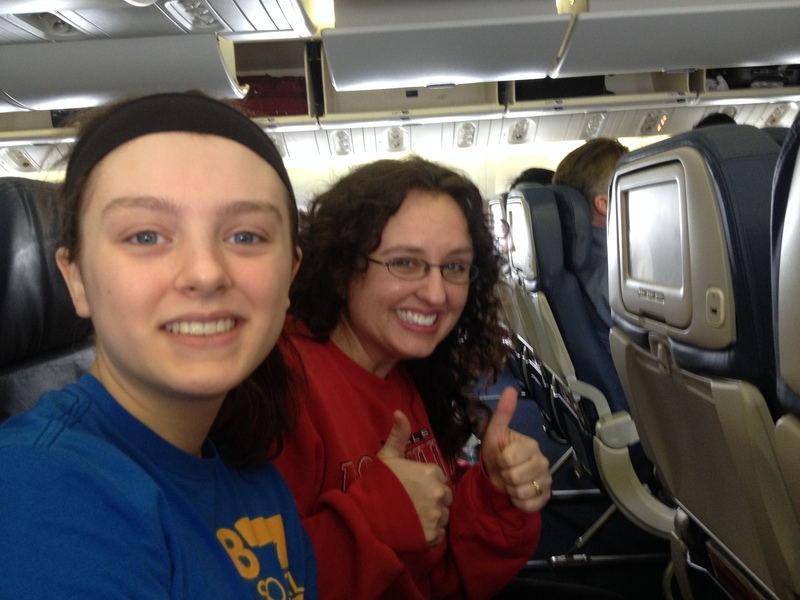 Hope and Faith will be on three airplanes today, one of them for 14 hours! May God grant mercy. Thank you for your prayers, we made it! We are all pretty tired – none of us slept on the plane. The hotel is nice but the two beds are twins so someone’s going to be on the floor. And seeing how Graceann is already sacked out in one of them, it looks like that’s going to be me. Here are a couple of pics so far and then I’m hitting the hay…er, the floor. Much love to all. 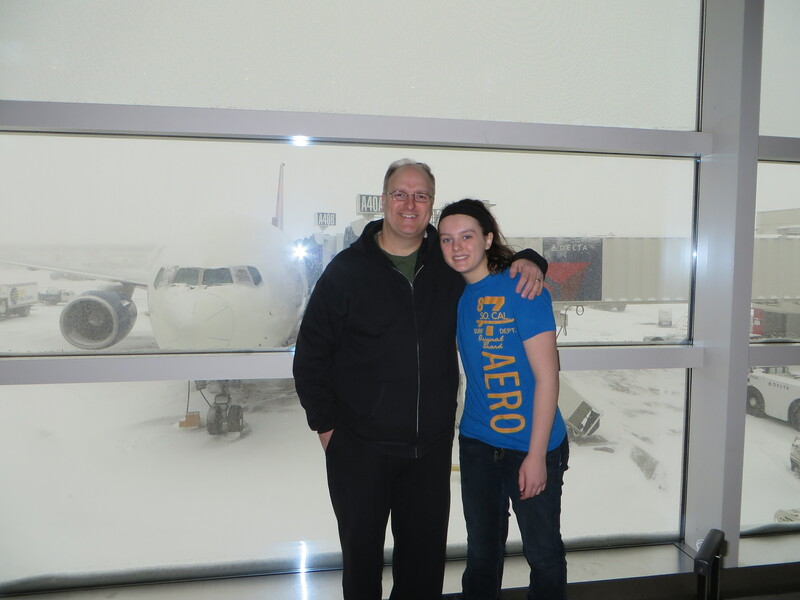 Graceann and I standing in front of our plane. Some flights stats if you’re into that sort of thing. Cecilia, our CCAI Rep – it was good to have someone doing all of the navigating! I have been thinking more and more about the girls lately. 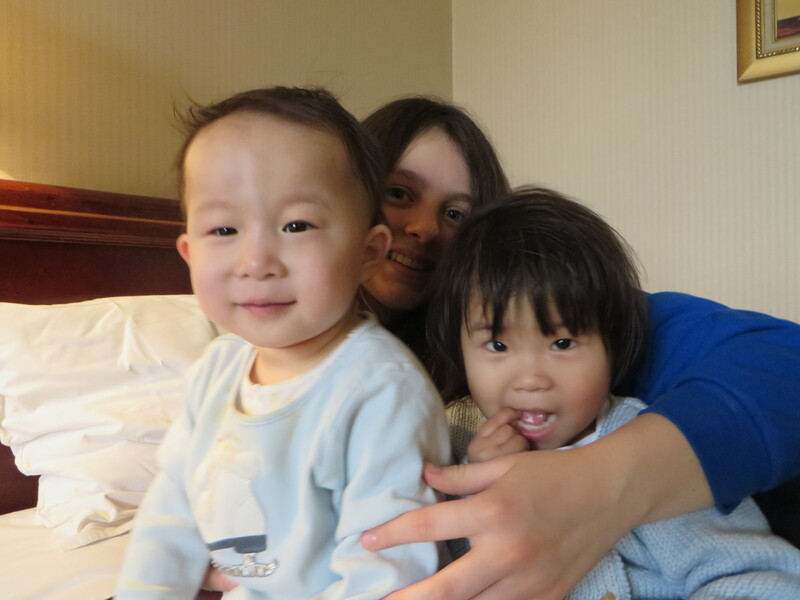 What will it be like as they are brought to our hotel room to meet us for the first time…Will they cry? Will they ignore us, hoping if they do, we will simply go away? Will they surprise us all by being one of those almost-unheard-of-but secretly-hoped-for cases of “love at first sight”? I don’t know how they will react, but one thing I do know is that they are getting ready to experience another traumatic event in their life, no matter how they respond outwardly. And my heart breaks for them anew. I try to put myself in their shoes. I imagine in my mind what it would be like to be happily playing in a sunny, friendly place, where I am loved deeply and my every care seems to be met. A place where I have friends that I play with and I know the layout, the smells, the faces, like the back of my hand. A place where I am the favorite of my group or where I am affectionately referred to by my nickname, a name only those closest to me call me. But then one day, a man comes and takes me away from all of that. I drive for a long while and suddenly find myself thrust into the arms of two new faces. Only these faces don’t look mine. As a matter of fact, these faces don’t look like any I’ve ever seen before and I am frightened by all that is unfamiliar. These people don’t smell like me, they don’t talk like me, and what’s worse, they are taking me behind this door and I am trapped in this small room with them. I can’t get out. I’m trapped in a world I don’t recognize, I don’t understand. I was just playing…happy and content in my world, and then everything suddenly changed. That’s how I envision Gotcha Day. I know it will be a happy day for Rick and me. A day we have been diligently striving toward since October 5, 2012. And I can’t wait. I truly can’t. But I do think often of what our poor girls will go through in order for us to “get to them”. And while my heart will be full and bursting with love and adoration for these two precious little girls, I’m also preparing my heart for the grief that will inevitably burst forth from their hearts. After all, they’ve lost so much already. And now, they are going to lose more. I pray that this is the last of their losses for a long, long time. I pray that they will know a life of happiness and joy and salvation that only God can grant. I wish them all that a parent hopes and dreams for each new life entrusted. Please do pray for us and our girls in the days ahead. We are coming to the end of our adoption journey and wanted to update everyone on where we are in the process. Today was a wonderful day…we received Travel Approval!!! 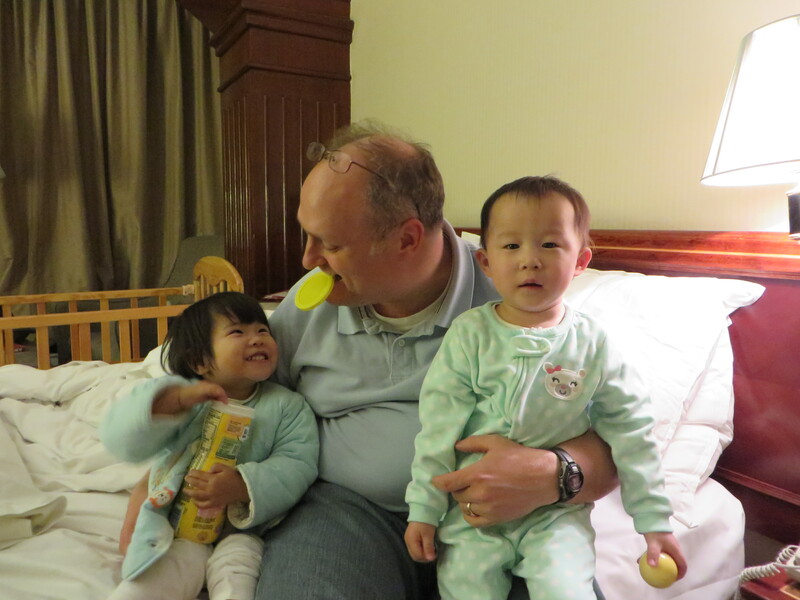 China has officially invited us to come and adopt two of their precious daughters. By the end of the week, we should be given a Consulate Appointment and that will determine exactly when we are permitted to travel. 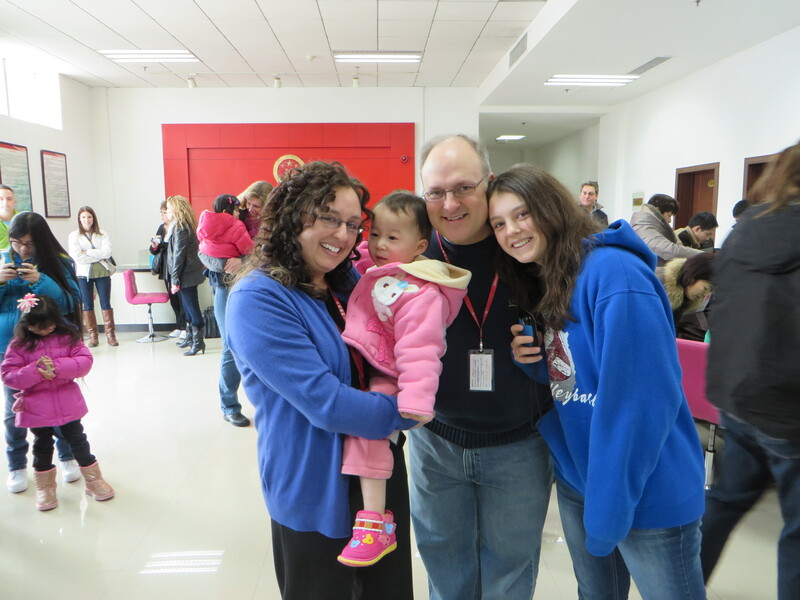 We were given two options by our agency…the first was to depart on February 5th. The other option was to leave February 12th. We, of course, are hoping and praying for the 5th…the sooner we can get to our girls, the better! We recently received an update on Faith. 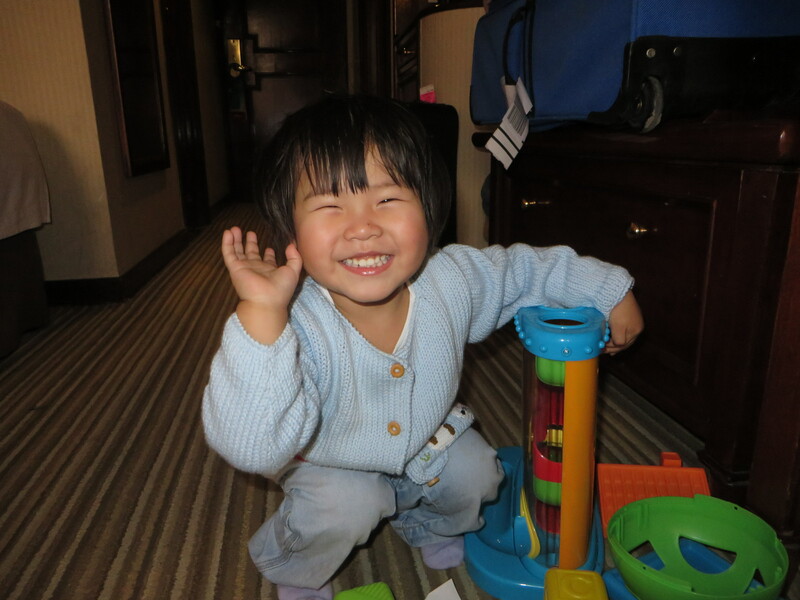 Although in an orphanage, she appears to be thriving. 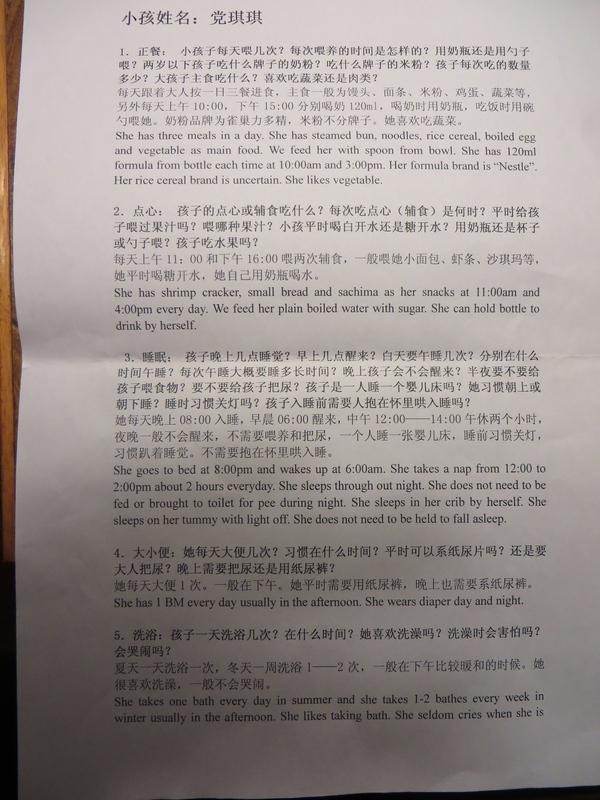 She no longer likes to take a bottle, but instead, prefers three meals a day of “real food”. She especially loves bananas and apples. 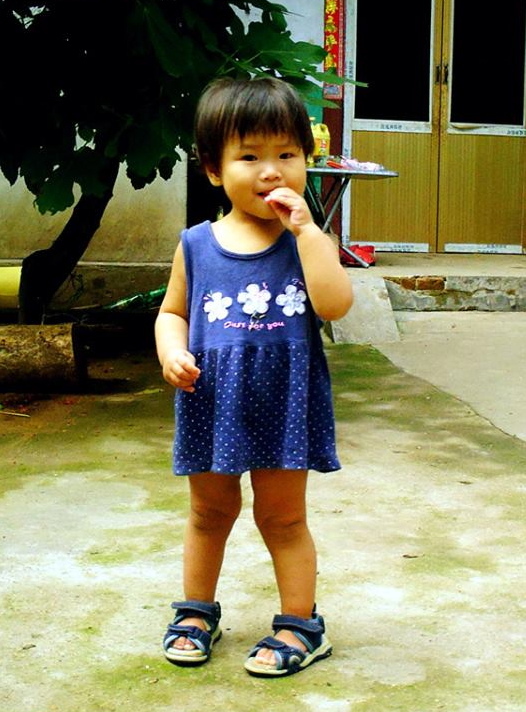 She is a very happy, friendly little girl, who loves to help the nannies with the smaller children. They report that she is particularly obedient with putting her shoes in the right place! Maybe she can teach the rest of her brothers and sisters who are not so adept at that practice! 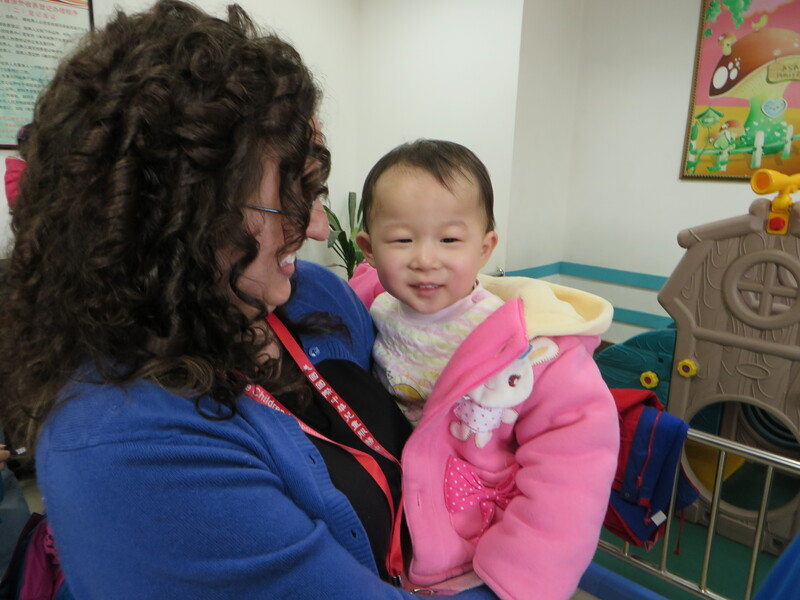 That she would attach to us quickly in China and that we would be able to meet her needs with the aid of our heavenly Father, who knows her frame perfectly! That once home, we will be able to meet her physical, emotional, and spiritual needs. She has been diagnosed with poor brain development and we will not know the full scope of all that that diagnosis entails until we can get her home and seen by a pediatric neurologist. We also expect that she will grieve the loss of all that is familiar to her. Please pray that God will help us to comfort her with His peace that transcends all understanding. We have not received an update on Hope in a couple of months. She is in a foster home and therefore, we do not receive as many updates of her. We do know that she generally has a sweet disposition, but when frustrated, will pull angrily at her foster mother’s clothes! When her foster mother gives her a disapproving look, however, Hope is quick to stop that behavior. I, for one, am hoping she leaves that behavior in China! She seems to have a hearty appetite (she is eating a cookie in every picture we have of her!) and is much-loved by her foster family. 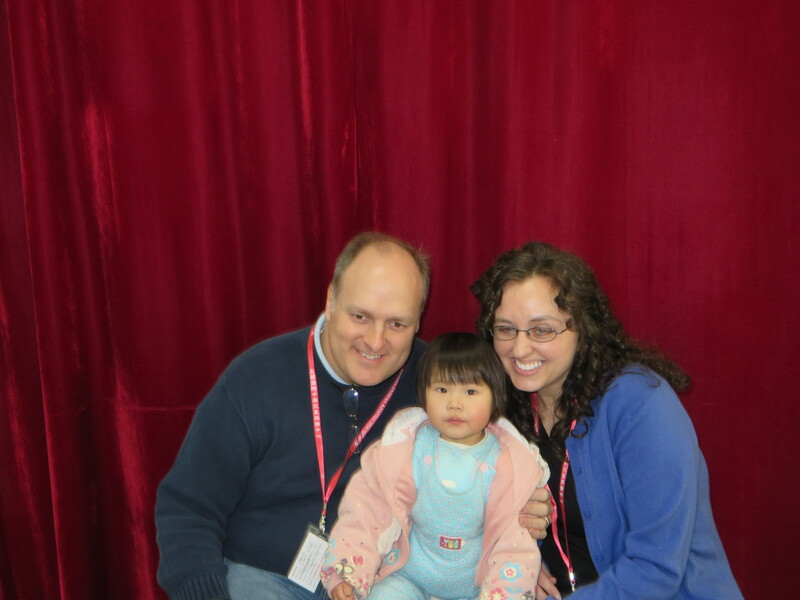 That she too will attach quickly to us in China. Because she’s been in the same foster home for so long, we are expecting her transition to not go as smoothly as with Faith, who is more accustomed to nannies and playmates “disappearing” from her life. We expect Hope’s grief to be great. Hope has been diagnosed with Spina bifida. 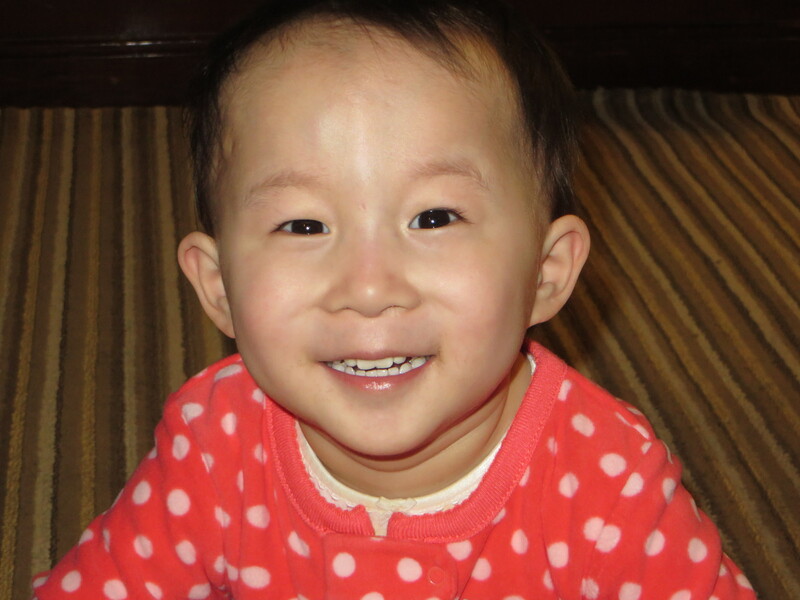 Please pray that we will be able to meet the extent of her medical needs after they are more fully known. The Lord has granted her the ability to walk well and we are grateful to Him for that mercy! Thank you so much to everyone who has supported us throughout this lengthy process. The Lord has been abundantly kind to us, and to me especially, in sustaining my health and in bringing to pass a desire that has been on my heart since I was eight years old. Never stop persistently asking the Lord for that “good thing” which may be on your heart! In His perfect timing, that holy wrestling may result in Him granting you the desire of your heart. May all the glory be given to God alone, for He is worthy of such praise. So it shall always be that, “I will praise the name of God with a song, And will magnify Him with thanksgiving.” Thank you Lord for these good gifts, these daughters of our faith and hope.